Lyme Regis Travelling on the A35 from Bridport, Chideock and Morcombelake, exit the A35 at Charmouth. On entering the village take the first turning right signposted Catherston Lewesdon and Wootton Fitzpaine, taking you back over the A35 via a bridge. 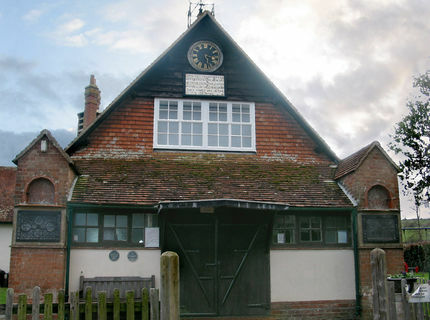 As you enter the village of Wootton Fitzpaine, the road bends round to the right and the village hall is on your left, a red brick and tile building with a clock and bell tower. The car park is behind the hall. Travelling on the A35 from Axminster and Raymond's Hill, continue beyond the dual carriageway and take the slipway on the left signposted Wootton Fitzpaine. Travel through a forest and enter the village at a tjunction. The village hall is on your right.